Bengali Singer Banasree Sengupta wiki profile biography life details, Banasree Sengupta Birthday Address Mobile Phone Contact Number Singer Banasree Sengupta Family Father Mother Children Son Daughter Singer Banasree Sengupta Qualification Educations School College Name Banasree Sengupta professional Career Awards Achievements Singer Banasree Sengupta Early Personal Secret Professional Educational Life works occupation Banasree Sengupta latest news updates information. Famous Singer Banasree Sengupta, born at Chinsura [Hooghly district of West Bengal] & brought up in a Musicians family, is an eminent Singing Star of West Bengal as well as of India, especially in Bengali Song. • Singer Banasree Sengupta House Address: - Arghya, Flat-1A, 55 Pratapaditya Road, Kolkata-26, West Bengal [Contact email id: banasree.sengupta@yahoo.co.in]. • Singer Banasree Sengupta Family Background: - Father name of Singer Banasree Sengupta is Late Sailendranath Roy, was a talented classical singer & trainer, Husband name of Singer Banasree Sengupta is Santi Sengupta. • Singer Banasree Sengupta Life: - Banasree Sengupta first trained by her father who was a talented Classical Singer & Trainer and then trained by Shree Rajen Banerjee who was the top of all trainers of Hooghly district at that time. After the marriage, Singer Banasree Sengupta moved to Kolkata and received Professional Singing lesions from Shri Sudhin Dasgupta for about 20-years. Banasree Sengupta also received various types of musical training from Sarbashri Prabir Majumdar, Neeta Sen, Sagiruddin Khan, Usha Ranja Mukherjee, Sailen Banerjee, Dinendra Chowdhury, Santosh Sengupta, & Kamal Ganguly during that 20-years period in Kolkata and become really a good Singer. • Marital Status of Singer Banasree Sengupta: - Married to Santi Sengupta. • Occupation of Banasree Sengupta: - Singer & Trainer. • Professional Life Works of Singer Banasree Sengupta: - Singer Banasree Sengupta worked as the Senior Artist of Akashbani (Bengali Radio) & Doordarshan (Television Channel). It's a great achievement to record over hundreds of super hit songs & to become the Senior Singer of H.M.V. (Seragama HMV) for Banasree Sengupta since 1966. Singer Banasree Sengupta is also a popular playback singer of Bengali & Hindi films as well. 'Dulhan Ohi Jo Pia Man Bhaye' Hindi Song of Banasree Sengupta brought enormous appreciation. Not only in Bengali & Hindi, Singer Banasree Sengupta also sung quite a few Assamese, Oriya & Bhojpuri Songs as a playback singer. Bengali films named 'Harmonium', 'Archana', 'Naginati', 'Roudra Chhaya', 'Ashirbad', 'Nimantran', 'Chhandanir', 'Chinnaoatra', 'Priyajan', 'Anjali' & others became most popular for her melodious voice. Apart from Singing Songs in Films, Singer Banasree Sengupta also recorded Songs in more than 20 Television Serials, Tele-Films, over 80 Bengali Commercial Dramas [Theatres] till date as well. Bansree Sengupta has performed at many international cities like Milton keyns, Luton, London, Glasgow, (England) New York, New Jercy, Cherry Field, Long Island, Heart Ford, Boston, Tarrency City, Clave Land, Florida (USA) Montreal, Toronto (Canada). 'Aaj Bikeler Dake Tomar Chhithi Pelam', 'Dur Akashay Tomar Sur', 'Chhi Chhi Eki Kando Korechi', 'Hira Fely kanch', 'Amar Andhar Gharer Pradip', 'Amar Angey Jaley rangmoshal', 'Ek Din Seidin', 'Chander Ato Alo', 'Sundar Boney Sundari Gachh', 'Dulhan Ohi Jo Pia Man Bhaye' are the names of few super hit & popular songs of Banasree Sengupta. • Achievements Awards of Singer Banasree Sengupta: - Singer Banasree Sengupta was honoured by Dishari, Uttam Kumar Awards, Bengali Film Journalist Association, Saregama HMV, Mother Teresa Award, Promotosh Barua Award, Michael Madhusudan Award and few other organizations for her contribution towards Bangla Sangeet over the years. 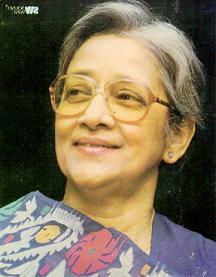 Bengali Singer Banasree Sengupta visited USSR as Indian Delegate in 1986, North America 'Bango Sammelani' in Toronto in 1998, and 'Basanta Utsav' at Toronto in 2011. Good wishes to Singer Banasree Sengupta for upcoming life & Career from the team of Kolkata Bengal Information. We all are looking for more good jobs from you (Singer Banasree Sengupta), so keep on doing your best work for us. Antara Chowdhury, daughter of renowned Music Composer & Lyricist Salil Chowdhury & renowned Singer Sabita Chowdhury, is a singer as well as composer of Bengali songs. Singer Antara Chowdhury first recorded her professional Bengali Music Album when she was only 7 years old and till now she has numerous Children’s Hit Songs in her credit and produced many hit film songs. • Father name of Singer Antara Chowdhury: Salil Chowdhury, Music director – composer. • Mother name of Singer Antara Chowdhury: Sabita Chowdhury, well known Singer. • Brother name of Singer Antara Chowdhury: Sanjay Chowdhury, Music composer. • Spouse / Husband name of Singer Antara Chowdhury: Antara Chowdhury and her husband Tirthankar both were friends in early days and later on they fall in Love. Educational Life & Qualification of Singer Antara Chowdhury: Famous Singer Antara Chowdhury completed her school life at Gokhale Memorial School, Kolkata and at Vila Tereso School, Mumbai. Singer Antara Chowdhury spent her school life in School Hostel and after school days, she completed her Graduation from Gokhale Memorial College, Kolkata. Singing Lessons of Singer Antara Chowdhury: Since, Antara Chowdhury born in a family that is well-known in musical fields; thus Antara Chowdhury started learning singing from her parents. Singer Antara Chowdhury was a student of Bengal Music College which is Musical department of Calcutta University. Singing Guruji Shuva Joshi is one of the Teachers of Singer Antara Chowdhury who gave her Thungri & Gazal lessons. Professional Life Career of Singer Antara Chowdhury: Singer Antara Chowdhury has established herself during her childhood days; yes, when she was in School, Antara Chowdhury created history by producing maximum number of Hit Bengali Songs for kids like ‘Bulbul Pakhi’, ‘Khukumoni Go Shona’ etc. Singer Antara Chowdhury one of the greatest female singers of Bengal, normally does Stage Shows abroad along with the Playback Singing in Cinema these days. We have heard the sensational voice of Singer Antara Chowdhury in Bengali films like ‘Moner Manush’, ‘Antaheen’ and in Malayalam Music Album ‘Rajnigandha’ etc. Search Tags: Antara Chowdhury Birthday Address Mobile Phone Contact Number Singer Antara Chowdhury Family Father Mother Wife friend Children Son Daughter Singer Candidate Singer Antara Chowdhury Qualification Educations School College Name Antara Chowdhury filmography professional Film Acting Career Awards Achievements Singer Antara Chowdhury Early Personal Secret Professional Educational Life Antara Chowdhury latest news Details, Antara Chowdhury profile biodata biography details Antara Chowdhury birthday address mobile phone contact number Antara Chowdhury family father mother wife husband son daughter children names Antara Chowdhury education qualification Antara Chowdhury works career occupation Antara Chowdhury personal professional educational life background Antara Chowdhury latest news updates information. The new Bengali Singing superstar of Mumbai’s Bollywood Film Industry is none other than Bollywood Ash King, original name Ashutosh Gangopadhyay (Ganguly), who is from Bengali origin but born & brought up in London. Singer Ashutosh Ganguly (Ash King) has already sang as a playback singer of Abhishek Bachhan (Delhi-6), Salman Khan (Bodyguard) and recorded song with Lady Gaga. Let’s have a quick look on Singer Ashutosh Ganguly (Ash King) biography. 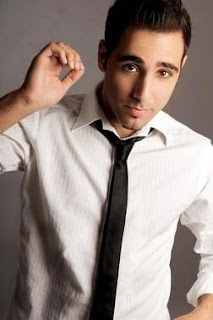 • Nick Name of Singer Ashutosh Ganguly: Ashutosh Gangopadhyay is popular as Ash King in Bollywood Film Industry. • Birthplace of Singer Ash Singh (Ashutosh Ganguly): Bollywood’s popular singer Ash Singh born at London and stayed there at London till he established himself in Bollywood Indian Film Industry. • Family details of Singer Ash Singh (Ashutosh Ganguly): Singer Ash Singh (Ashutosh Ganguly) born in a cultured & musical family. His Grandfather name is Late Brajendralal Gangopadhyay, who was a Freedom Fighter & the first Shastriya Sangeet Teacher of Shantiniketan (Bolpur, West Bengal). The father name of Singer Ash Singh (Ashutosh Ganguly) is Shankar Gangopadhyay who is a Kirtan Singer & worked with Hemanta Mukhopadhyay, Bengali Film director Salil Chowdhury during his professional life. • Music Training of Singer Ash Singh (Ashutosh Ganguly): He started learning singing first from his father who is a well-known Kirtan Singer. Singer Ash Singh (Ashutosh Ganguly) met Indian Musical Legend A.R. Rehman during his learning process of Gospel Music (Religious Christian Songs) & later he got the chance to sing in Indian Film in which A.R. Rehman was the Music Director. • Singing Career of Singer Ashutosh Ganguly (Ash King): Few smash-hit Hindi Movie Songs of Singer Ashutosh Ganguly (Ash King) till now are ‘Dil gira Dafatan’ of Delhi-6 Hindi cinema, ‘T Te Amo’ of Dum Maro Dum Hindi Movie, ‘I Love U’ of Bodyguard Hindi Film, ‘Suno Aisha’ of Aaisha film etc. These all songs of Ash Singh (Ashutosh Ganguly) cemented his place in Bollywood Film Industry in last few years. In this sort span of Singing Career, Singer Ash Singh (Ashutosh Ganguly) already recorded a song with world’s no.1 pop singer Lady Gaga (Lady Gaga's official single for 'Bad Romance' on a remix of Just Dance). Singer Ashutosh Ganguly (Ash King) is also a prominent singer in UK where he sang and co-wrote the song 'Love Is Blind' which he sang with singer Ramzi, and featured on the song 'Look For Me' with Hard Kaur. In the year 2011, Singer Ashutosh Ganguly (Ash King) performed at some of the biggest events in the U.K including performances at Glastonbury Festival for the BBC, & also performed on the main stage at the BBC London Mela. • Unknown facts about Singer Ashutosh Ganguly (Ash King): Since, Singer Ashutosh Ganguly (Ash King) born & brought up at London, he don’t understand Hindi & Bengali language. But the Music Directors & Lyrists made him understand the meaning of songs so that he can put the emotional feelings in his songs. Now, Singer Ashutosh Ganguly (Ash King) trying to learn Indian language. Singer Ashutosh Ganguly (Ash King) is willing to Sing in Bengali Films as well and loves to eat Bangali Fish Recipes. When he came to Kolkata in 2010, Singer Ashutosh Ganguly (Ash King) met Bengali Singer Haimanti Shukla whom he like most and went to Mahajati Sadan where he saw the picture of his grandfather Late Brajendralal Gangopadhyay. There is a road in the name of Singer Ashutosh Ganguly (Ash King)’s Grandfather in Kolkata located beside Bhavani Cinema Hall (B.L. Gangopahdyay Road). Amongst the Bengali legendary Signers, Singer Ashutosh Ganguly (Ash King) likes Sri Samaresh Chowdhury and would love to work with Singer Nachiketa. Search Tags: Singer Ashutosh Ganguly Ash King Birthday Address Mobile Phone Contact Number Actress Model Singer Ashutosh Ganguly Ash King Family Father Mother Wife friend Children Son Daughter Actress Candidate Model Actress Singer Ashutosh Ganguly Ash King Qualification Educations School College Name Singer Ashutosh Ganguly Ash King filmography professional Film Acting Career Awards Achievements Actress Singer Ashutosh Ganguly Ash King Early Personal Secret Professional Educational Life Singer Ashutosh Ganguly Ash King latest news Details, Singer Ashutosh Ganguly Ash King profile biodata biography details Singer Ashutosh Ganguly Ash King birthday address mobile phone contact number Singer Ashutosh Ganguly Ash King family father mother wife husband son daughter children names Singer Ashutosh Ganguly Ash King education qualification Singer Ashutosh Ganguly Ash King works career occupation Singer Ashutosh Ganguly Ash King personal professional educational life background Singer Ashutosh Ganguly Ash King latest news updates information. Search Tags: Bhupen Hazarika Birthday Address Mobile Phone Contact Number Singer Bhupen Hazarika Family Father Mother Wife friend Children Son Daughter Singer Bhupen Hazarika Qualification Educations School College Name Bhupen Hazarika filmography professional Film Acting Career Awards Achievements Singer Bhupen Hazarika Early Personal Secret Professional Educational Life Bhupen Hazarika latest news Details, Bhupen Hazarika profile biodata biography details Bhupen Hazarika birthday address mobile phone contact number Bhupen Hazarika family father mother wife husband son daughter children names Bhupen Hazarika education qualification Bhupen Hazarika works career occupation Bhupen Hazarika personal professional educational life background Bhupen Hazarika latest news updates information. Bhupen Hazarika, born in Assam, is the legendary personality worldwide and known for his Excellency in Singing as well as in Indian Films. The all time legend Bhupen Hazarika sung in Bengali, Assamese, Hindi movies, directed movies, composed music and also took the responsibility of MP (Bidhayak) in Assam Assembly. • Birthday of Singer Bhupen Hazarika: 8th September 1926. • Birthplace / Ancestral House of Bhupen Hazarika: Sadia, Assam, North East India. • Educational Life Bhupen Hazarika Qualification: Singer Bhupen Hazarika completed his IA from Guwahati Cotton College and then completed Bachelor & Master Degree from Banaras Hindu Viswavidyalaya in Political Science. After that, Bhupen Hazarika completed Ph.D from Columbia University and achieved ‘Lee Law Fellowship’ from Chicago University (America) on Films. • Music Guru / Singing Classes of Bhupen Hazarika: Bhupen Hazarika learnt singing from Singing Gurus like Jyotiprasad Agarwal, Bisnu Rava & others during his childhood days. • Family of Bhupen Hazarika: Bhupen Hazarika born in a teachers’ family in 1926. Singer Bhupen Hazarika’s ex-wife name Priyambada Patel and the son name of Bhupen Hazarika is Tez Hazarika. • Profession / Occupation of Bhupen Hazarika: Poet, Singer, Music Director, Film Director, Producer & Actor. • Professional Life Works of Bhupen Hazarika: Bhupen Hazarika started his professional career at the age of 13 by acting & singing a song in an Assamese Film ‘Indramalati’ in 1939. After completion of his study in foreign; Bhupen Hazarika worked with Salil Chowdhury, Balraj Sahani and many other famour personalities of India. ‘Bistirno Du Pare’, ‘Aaj Jiban Khuje Pabi’, ‘Ami Ek Jajabor’, ‘Dola’ are the names of popular Bengali songs of Bhupen Hazarika that are most loved by Bengalis. Dr. Bhupen Hazarika has composed music and done playback singing in so many Bengali, Assamese and Hindi movies during his career. ‘Shakuntala’, ‘Pratidhwani’ & ‘Loti-Ghoti’ are the Assamese Films directed by Bhupen Hazarika. • Awards Achievements of Bhupen Hazarika: Bhupen Hazarika first received National Award in 1976 for ‘Chameli Memsaheb’ film. Singer Bhupen Hazarika received awards like Padmasri (1977), Dadasaheb Falke (1992), Rastrapati Puraskar for his directed asomiya movie ‘Lotighoti’, Padmabhushan (2001), Sangeet Natok Academy Puraskar (2009) in his professional life & career. • First & Last Song of Bhupen Hazarika: ‘Indramalati’ Assomiyan Film’s ‘Biswa Nijoy Naojwan’ is the first song sung by Bhupen Hazarika in 1939 (13-years of Age) and ‘Gandhi to Hitler’ Bollywood Film’s ‘Baisnav Janto’ is the last song Bhupen Hazarika sang in 2011. • Political Life Career of Bhupen Hazarika: Singer Bhupen Hazarika joined politics during 1965-66 and contested as a Nirdal Party Candidate in 1967 in Assam Assembly Election where he won. From 1967 to 1972, Nirdal Party Leader Bhupen Hazarika was the MP of Assam Assembly. Politician Bhupen Hazarika left political life when he lost in 2004 Loksabha Election as a BJP Candidate. 86-year old Singer Bhupen Hazarika died on 5th November 2011 at Kokilabehn Hospital of Mumbai where he was admitted on 29th June 2011. The reason of dead of Singer Bhupen Hazarika is Kidney Disease & old age related problems like Asthma, Pneumonia etc. Prashant Tamang Personal life Indian Idol Kolkata Police Prashant Tamang Singing Career Indian Idol Discography Filmography Prashant Tamang Profile Biodata Biography Indian Idol Darjeeling Nepali Police Bengal Singer Prashant Tamang Birthday Address Mobile Phone Contact Number Prashant Tamang Family Father Mother Wife Children Names Prashant Tamang Education Qualification School College Prashant Tamang Profession Occupation Career Works Achievements Prashant Tamang Professional Educational life background Prashant Tamang Indian Idol Singer. Indian Idol Singer Prashant Tamang, Darjeeling based Indian Singer-Actor, was the winner of Indian Idol Season-3 in 2007. Singer Prashant Tamang is the first Indian of Nepali ethnicity to make it to the final rounds of Indian Idol and win it. Singer Prashant Tamang is also the first person from the Indian police force to enter the final rounds of Indian Idol. 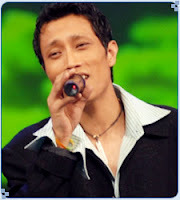 • Birthday of Indian Idol Singer Prashant Tamang: 4th January, 1983. • Address of Indian Idol Singer Prashant Tamang: Darjeeling, West Bengal, India. • Family of Indian Idol Singer Prashant Tamang: Father name Late Madan Tamang, Mother name Rupa Tamang, Sister name Archana and Wife name Geeta Thapa (Flight Attendant). • Marriage Date of Indian Idol Singer Prashant Tamang: Prashant Tamang and Geeta Thapa got married on 16th February 2011 in Nagaland. • Personal Life of Indian Idol Singer Prashant Tamang: Prashant Tamang born in Darjeeling, a hill station in West Bengal, to Rupa Tamang and Madan Tamang. Singer Prashant Tamang spent most of his early life in the Himalayan region of Darjeeling and studied at St. Robert's School. After the demise of Prashant Tamang’s father in an accident, Indian Idol Singer Prashant Tamang left school and joined Kolkata Police as a constable in Prashant Tamang’s father place. In Kolkata Police, Prashant Tamang sang for the police orchestra. • Indian Idol Winner Prashant Tamang Singing Career: According to the Indian Idol program commentary, Indian Idol Singer Prashant Tamang auditioned for Indian Idol-3 (2007) because Prashant Tamang’s friends and Prashant Tamang’s seniors, especially Mr. Zulfiqar Hasan, Special Additional Commissioner of Police (who incidentally also got Indian Idol Singer Prashant Tamang's leave sanctioned for the competition) told him that Prashant Tamang’s voice was very good. Singer Prashant Tamang auditioned for Indian Idol in Kolkata and was subsequently chosen for the next rounds. Singer Prashant Tamang received mixed comments from judges for Prashant Tamang’s performances. Singer Prashant Tamang is the only contestant to have never been in the bottom three or four of the gala round. Singer Prashant Tamang made it to the top 2 of Indian Idol 3 along with Amit Paul. 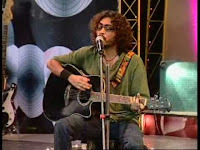 Indian Idol Singer Prashant Tamang got about 10 times more votes (70 million votes) than Amit in the final and went on to win the Indian Idol contest. A radio jockey Jonathan Brady (also known as Nitin) of Red FM, an FM radio channel in Delhi, commented in a live broadcast in Prashant Tamang’s show that “shopkeepers will now have to make their own security arrangements as Gorkhas have taken to singing” when referring to Indian Idol Singer Prashant Tamang, who is a Gorkha, singing in the Indian Idol 3 contest. This led to massive protests from Gorkhas all over and especially in Darjeeling district, where violent clashes erupted between supporters of Indian Idol Singer Prashant Tamang and local residents of Siliguri. The Gorkhas demanded that the RJ be taken off the FM channel. The Information and Broadcasting Ministry of India issued a show-cause notice to Red FM for the racial slur. Red FM issued a clarification stating, "We have not intentionally caused hurt to the sentiments of any person or any particular community, caste or creed. However in the event any inadvertent slight or offence has been caused to the sentiments of any person or community we tender our apology for the same". After winning Indian Idol 3, Indian Idol Singer Prashant Tamang launched Prashant Tamang’s maiden album Dhanyavad (meaning "Thank You"), consisting of Nepali and Hindi songs. Indian Idol Singer Prashant Tamang toured all over the world, including the USA, performing in concerts. Singer Prashant Tamang also sang for a few Nepali films such as Himmat-2 (along with fellow Indian Idol contestant Charu Semwal). In 2009, Prashant Tamang started Prashant Tamang’s acting career in Nepali films. Indian Idol Singer Prashant Tamang’s first film Gorkha Paltan was released in 2010. Debut Film of Prashant Tamang Gorkha Paltan did very well at the box office. Indian Idol Singer Prashant Tamang's second film Angalo Yo Maya Ko, produced in Sikkim, was released on 31st March 2011. • Prashant Tamang Singing Albums and Film / Movie Names: Music Albums of Prashant Tamang are Dhanyavad (2007) and Namaste (2008). Prashant Tamang acted in these following Nepali films till date - Gorkha Paltan (2010 – Debut), Angalo Yo Maya Ko (2011) and Kina Maya Ma (2011). Good wishes to Indian Idol Winner from Bengal Prashant Tamang for his upcoming Singing Albums and upcoming films. Classical Singer Vocalist Pandit Bhimsen Joshi Profile Biodata Biography Birthday Address Family father mother children Qualification Education Bhimsen Joshi life music teacher guruji profession career works singing songs Bhimsen Joshi reason death photo mp3 song download Bhimsen joshi singer details, Bhimsen Joshi Singing Career Music Teacher, Bhimsen Joshi Jail Arrest Cases, Bhimsen Joshi Father Profile, Bhimsen Joshi Awards Bharatratna Karnataka Ratna. 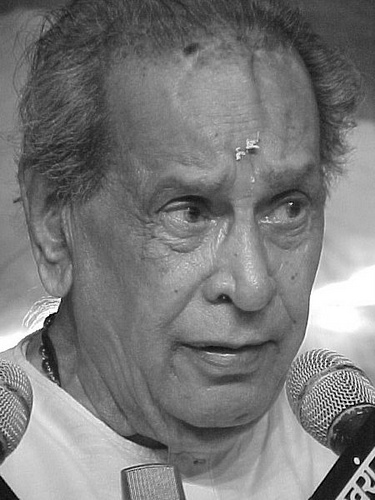 Indian Classical Singer Pandit Bhimsen Joshi, born at Gadag Karnataka, is one of the legendary vocalist singers of India of all time. Family of Pandit Bhimsen Joshi: At the early age of Pandit Bhimsen Joshi he lost his mother. The Father of Pandit Bhimsen Joshi was a school teacher. Father name of Pandit Bhimsen Joghi: Late Gururaj who was a MA passed School Teacher. First Music Teacher of Pandit Bhimsen Joshi: Chanappa Kurtakorti Kirtaniya at Rs.5/- Guru Dakshina. Singing Teacher of Pandit Bhimsen Joshi Musical Teacher: After learning the basic in Singing, Pandit Bhimsen Joshi joined Pandit Shyamacharya Singing Classes. Vocalist Bhimsen Joshi learnt singing from Pandit Sawai Gandharb who was a student of Ustad Abdul Karim Khan. Sarodiya Hafeez Ali Khan of Gwalior was another Guruji of Pandit Bhimsen Joshi. Professional Career of Pandit Bhimsen Joshi: In the year 1943 Pandit Bhimsen Joshi came to Mumbai (Bombay) and joined Doordarshan as a Betarshilpi at the age of 19-years. Pandit Bhimsen Joshi had record his first song at the age of 22. Apart from Dhrupadi Sangeet; Pandit Bhimsen Joshi was mastered in Bhajan Sangeet, Thumri, Dadra classical Indian songs and Pandit Bhimsen Joshi has sang many songs in Hindi, Kannad, Marathi films as well. In the film ‘Basantabihar’ (1956) Pandit Bhimsen Joshi and Manna Dey has sung a ‘Ketaki gulab juhi champak’ song which is till now remembered by music lovers. Achievements Awards of Pandit Bhimsen Joshi: Padmasree (1972), Sangeet Natok Academy Award (1975), Padmabhushan (1985), National Film Award (1985), First Platinum Disc Award (1986), Padmabibhusan Award (1999), Karnatakaratna(2005) and Bharatratna (2008). Unknown facts of Pandit Bhimsen Joshi Life: Pandit Bhimsen Joshi had arrested and Jailed twice as without ticket train passenger. Reason of Death of Pandit Bhimsen Joshi: Several diseases that usually happened at old ages like Kidney failure, breathing trouble. Profile Biodata Biography Suchitra Mitra, Education Family Birthday Address Suchitra Mitra Singer Career Awards Achievements History Rabindra Sangeet Singer Teacher Suchitra Mitra wiki. Suchitra Mitra, an eminent singer of Rabindranath Tagore songs, is a pride of Bengal and a great Music Teacher of Rabindrasangeet. After completing the studies from University of Calcutta; Suchitra Mitra went to Santiniketan with a scholarship for taking lessons of Rabindrasangeet at Viva Bharati University. 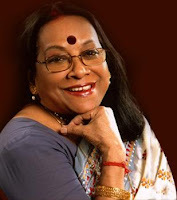 Suchitra Mitra has sung many songs for Bangla Cinema Industry and also has recorded thousands of Rabindrasangeet, Atul Prasadi and other Bangla songs during her Singing Career. Suchitra Mitra has opened a Singing School at Salt Lake, Kolkata and trained many well known Bengali celebrities like Bratati Bandyopadhyay, Usha Utthup and others. Father name of Suchitra Mitra: Late Saurindra Mohan Mukherjee (Father of Suchitra Mitra was a renowned Litterateur). Address of Singer Suchitra Mitra: Ballygunge, South Kolkata, Bengal. Educational Qualification of Suchitra Mitra: Suchitra Mitra studied at Scottish Church College Kolkata, Calcutta University and in Rabindranath Tagore’s Viswabharati University in Bengal. First Music Teacher of Suchitra Mitra: Pankaj Kumar Mullick. Profession Occupation of Suchitra Mitra: Suchitra Mitra was a legendary Singer who recorded her first song in 1945. Suchitra Mitra had also served as Kolkata Sheriff in 2009. Awards & Achievements of Suchitra Mitra: Eminent Singer Suchitra Mitra had received so many awards like Padmashri Award in 1973 and many more. Singer Model VJ Profile Biodata Biography Anushka Manchanda Jhalak Dikhla Jaa 4 contestant, Anushka Manchanda Birth Day Place Father Mother Family Husband boyfriend, Anushka Manchanda works career awards, Anushka Manchanda school college education, Anushka Manchanda mobile phone contact number Anushka Manchanda. Anushka Manchanda was come under spotlight when she was doing Video Jockey job on Channel-V (ex VJ). Talented Singer Anushka Manchanda moved into singing profession and established herself as a professional Singer of Bollywood. In many Hindi Cinema and Tamil Movies Anushka Manchanda has sung songs. Apart from Singing and VJ, Anushka Manchanda also loves to do modelling. Address of Anushka Manchanda: - Delhi, India. Birth Day of Anushka Manchanda: - In the year 1985. Birth Place of Anushka Manchanda: - Delhi, India. Professional Career of Anushka Manchanda: - Singer, Model and Video Jockey. Meiyang Chang, born in Dhanbad, is a dentist and came to Singing Reality Show for the passion of Music. And after that, Dentist Chang became a well known figure in Bollywood Industry and world-wide. Meiyang Chang has acted with Sahid Kapoor and sang many songs in movies and also shows his dancing skills in Jhalak Dikhla Jaa-4 on Sony TV Dance Reality Show. Professional Career of Meiyang Chang: Dentist, Actor, Singer. Bollywood Debut film as Actor of Meiyang Chang: Badmash Company with Sahid Kapoor and Anushka Shetty.